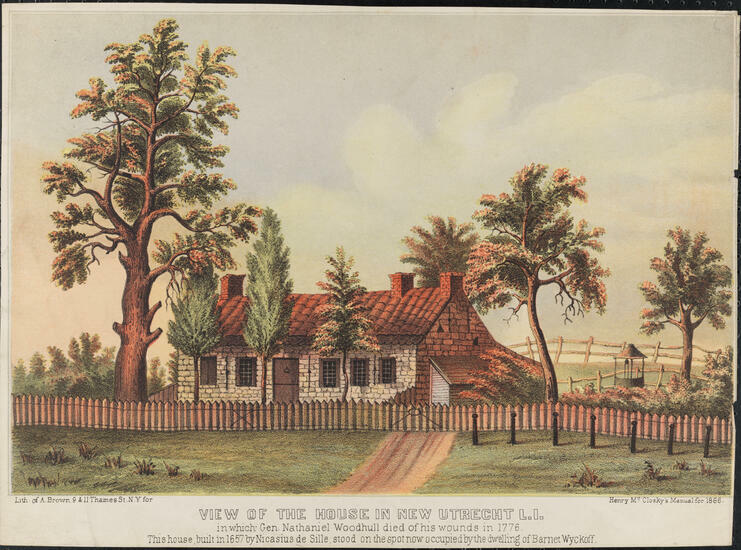 Museum of the City of New York - View of the House in New Utrecht L.I. View of the House in New Utrecht L.I. Lith of A.Brown, 9 & 11 Thames St. N.Y. for Henry McClosky's Manual for 1866.